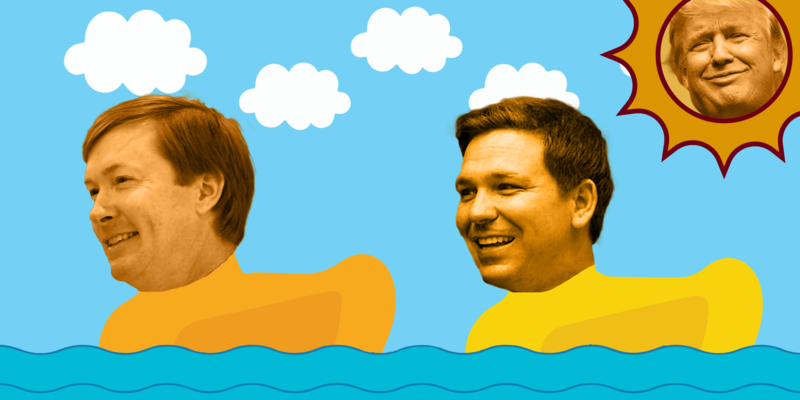 Duck, Duck, DeSantis: Why Won’t Adam Putnam and Ron DeSantis Debate? Today, the Democratic gubernatorial candidates will come together for Florida’s first debate of 2018. The Democratic candidates willingness to have a real discussion about the issues stands in stark contrast to the GOP field. Ron DeSantis and Adam Putnam haven’t even scheduled a time to debate — and only have one non-televised “forum” on the books. Instead of having a substantive debate about the issues, both candidates have stuck to their respective safe spaces: Fox News for DeSantis and an endless number of BBQs and breakfasts for Putnam. By refusing to debate, the GOP gubernatorial primary has become the Seinfield primary: an election about nothing. Adam Putnam talks in platitudes about vocational education, but has yet to offer any substantive plan about how he would create a stronger workforce. Ron DeSantis doesn’t even bother to talk about Florida issues — instead launching criminal referrals against Hillary Clinton from a Fox News green room. Both seem more interested in praising Donald Trump than laying out a substantive agenda. Do they support HB 7055? Do they support raising the minimum wage? What would they do to expand access to affordable, quality health care? After the Legislature’s failure to pass sexual harassment, what steps would they take to address this issue in Tallahassee? Do they support Rick Scott's decision to limit public access to Florida's beaches?